Although the soft e-collar is more flexible and lightweight, it is still cumbersome and makes a lot of noise if it is scraped against something. Both the plastic and the soft collars terrified my Matt-Matt. 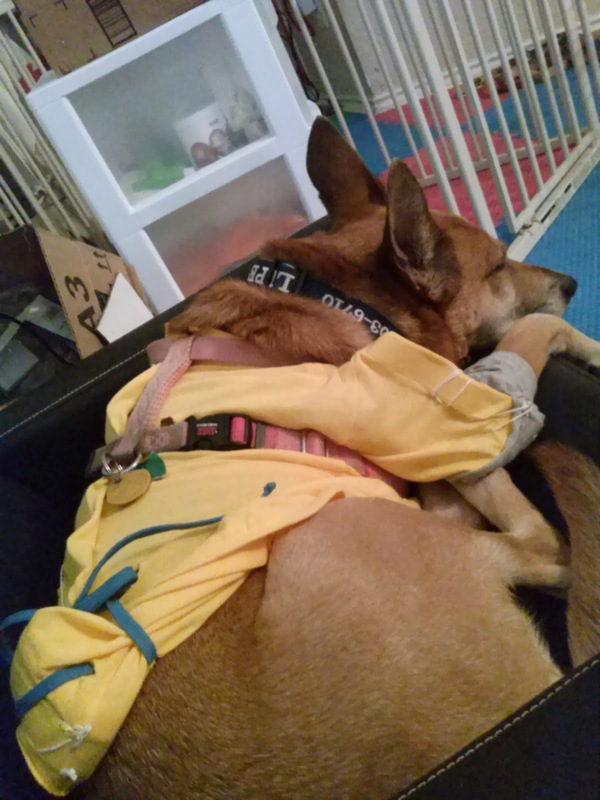 When he had a small tumor removed on his front leg, instead of a collar, I had him wear a shirt with sleeves long enough to cover his sutures. Matt-Matt eventually figured out how to lay just right so that he could reach around it and chew on his wound. But by then he was almost healed. My friend tried a Bite Not collar. But it made her dog tremble all over. I tried on on Lupe once, but it closed her ears (which can cause ear infections). 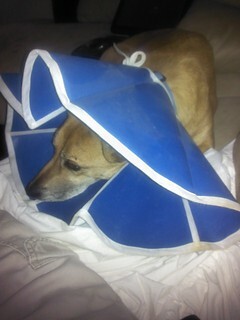 Speaking of ear infections, I tried a Comfy Cone on Lupe once. 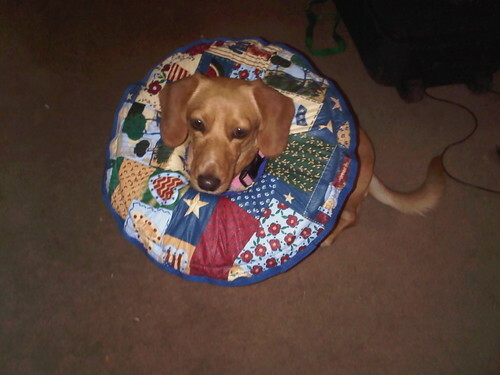 It was sturdy like a plastic collar, but soft and light weight like a soft collar. But after only a couple of days of use, Lupe's existing ear infection got worse. The collar slightly covered her ears. Amazon reviews showed that other pets also experienced ear infections. So please make sure whatever device you use doesn't cover the ears. 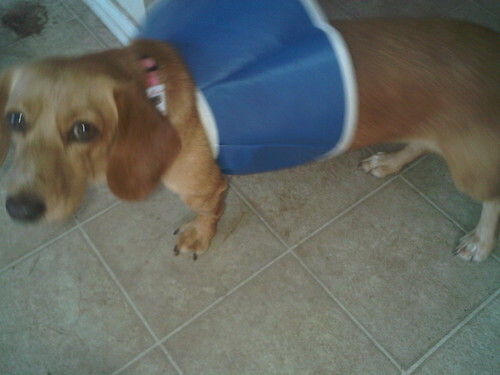 Here is Puddin modeling the soft e-collar that Lupe had to wear. When Puddin wore it, she would slide herself along the walls until the collar turned itself inside out. The flexibility and the pliability of the device can be an advantage or a disadvantage. Also notice how she somehow got her front legs through the neck opening. Reviewing the extensive list above, one might see why we shouldn't wait until a protective collar is needed: If you find that your dog needs one, you might not be able to find the one you need in a nearby store or the stores might be closed. Figure out which your dog likes best, have one or two on hand, and start acclimating. When I caught Lupe chewing on herself, I was able to immediately go to where I stored my dog products, get a cone and put it on her. Tell us about your medical collar woes in the comment section below.